Find the Best Thrift Stores in Alberta! Our thrift stores have a boutique feel and specialize in vintage fashions and home décor. Whether you’re a treasure hunter, upcycling fashionista or DIY expert, thrift shopping at Goodwill provides great finds at reasonable prices. 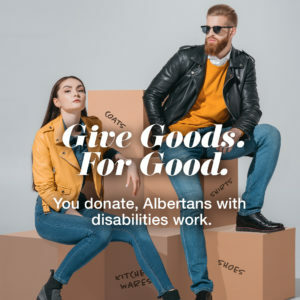 Visit the nearest Goodwill to do your thrift shopping and you’ll be helping your neighbours by enhancing their lives through meaningful employment. 88.8% of revenues help this mission. 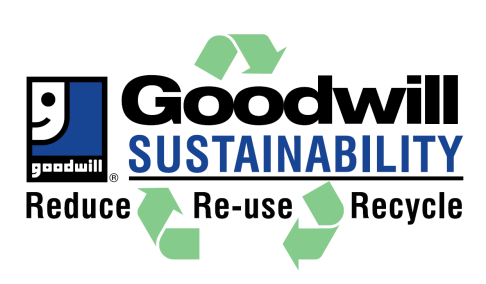 Love shopping at Goodwill Thrift Stores? Share us with your friends. 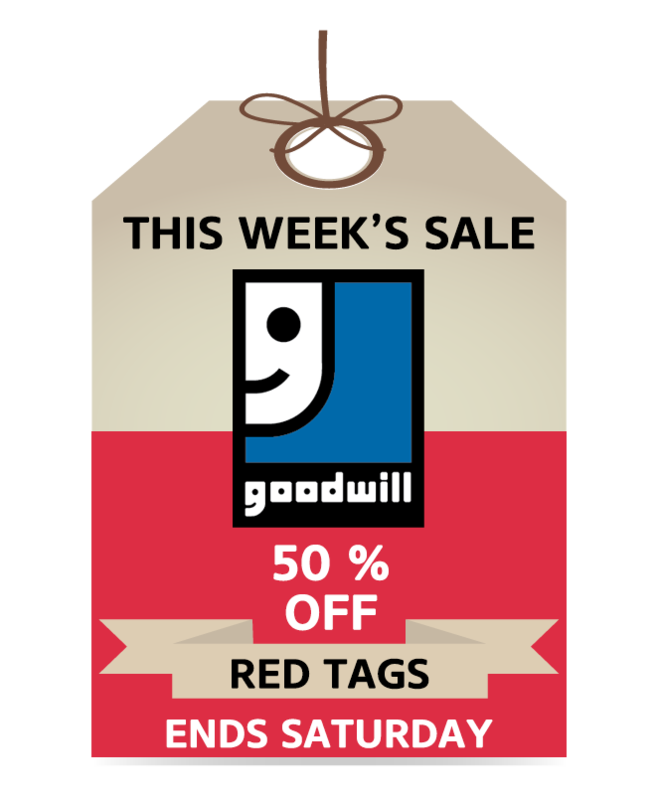 For every $25 you spend at a Goodwill store you get a stamp – so if you spend $50 dollars in one visit you will get two stamps Once you collect 10 stamps on your card you get $15 off your next purchase of $25 or more! 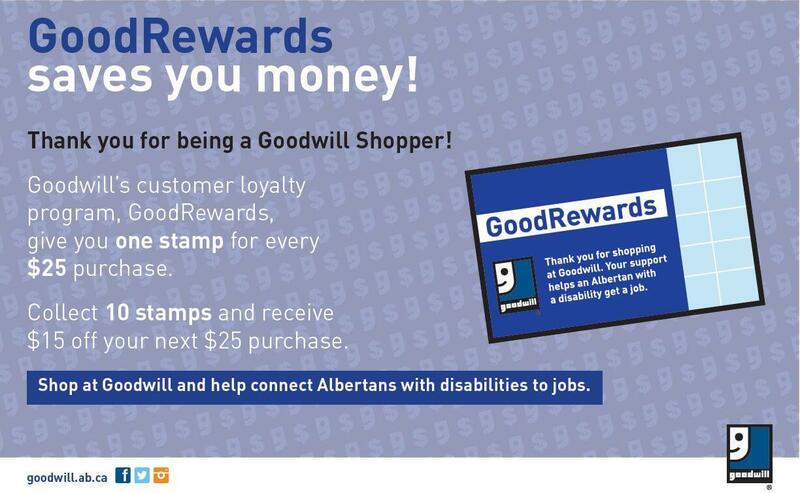 Get Your GoodRewards card at any Goodwill store! All items with a Green Price Tag are 50% off this week (Sunday - Saturday). No Yellow Tag product holds available during the tag sale. Find a thrift store near you. All items with a Green Price Tag are 50% off this week (Sunday – Saturday). No Yellow Tag product holds available during the tag sale. Find a thrift store near you. All items with a Yellow Price Tag are 50% off this week (Sunday - Saturday). No Yellow Tag product holds available during the tag sale. Find a thrift store near you. 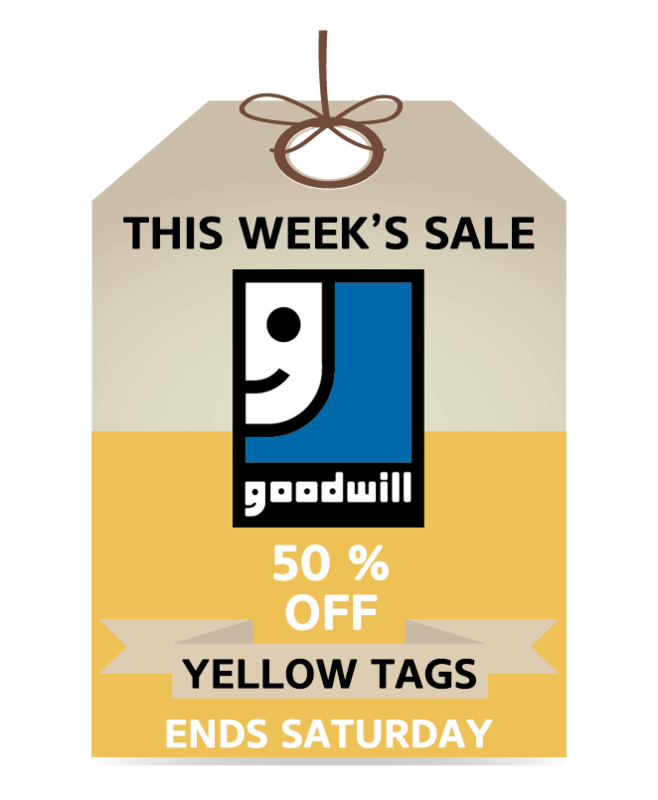 All items with a Yellow Price Tag are 50% off this week (Sunday – Saturday). The service supplied by the Edmonton office was excellent. Leon kept in touch prior to the booking to ensure all was still good for the scheduled move. Adam and Brant arrived on time, phoned ahead as promised, were very polite and careful with our belongings. Their fees were very reasonable and they completed the job in record time! I will continue using them for any of my junk removal or moving needs. The movers were professional, on time, courteous, and went above and beyond making sure the job was complete to my satisfaction! I would recommend Leon and his crew highly! Adam and Gabriel were great. They were quick, capable, polite, and made our junk look like it wasn't a problem at all. They offered good advice about disposal of a couple of things we had - - overall it was a most pleasant experience. I would definitely recommend them to anyone who has stuff they want to get rid of!! The fact that these young men were respectful and hard working; they also had a sense of humour, to go along with their honesty! They cleared out a bunch of stuff I did not want, in a very reasonable time. Would I recommend them--YES! They are ambitious and have made plans for their future. I wish them well in their chosen professions!